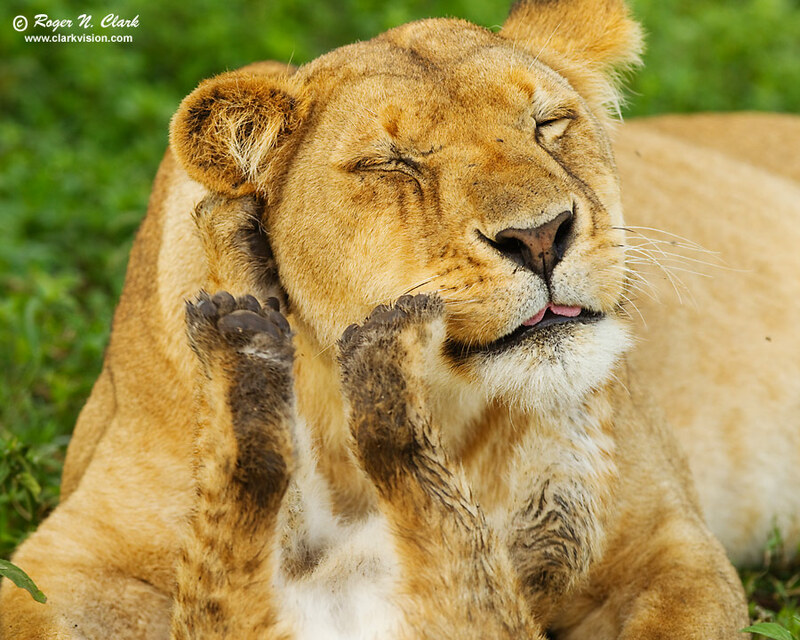 A lion cub plays with mom and scratches her behind the ears early one morning in the shade of a tree on the Serengeti. Ngorongoro Conservation Area (NCA), Africa. Canon EOS-1D Mark IV camera, 300 mm L IS lens at f/5.6, 1/250 sec, ISO 400. This image is the full-height image, cropped horizontally to 16x20 proportions.